Patients who use medical marijuana for pain and other chronic symptoms can take an unwanted hit: Insurers don't cover the treatment, which costs as much as $1,000 a month. Once the drug of choice for hippies and rebellious teens, marijuana in recent years has gained more mainstream acceptance for its ability to boost appetite, dull pain and reduce seizures in everyone from epilepsy to cancer patients. Still, insurers are reluctant to cover it, in part because of conflicting laws. While 21 U.S. states have passed laws approving it for medical use, the drug still is illegal federally and in most states. But perhaps the biggest hurdle for insurers is the U.S. Food and Drug Administration hasn't approved it. Major insurers generally don't cover treatments that are not approved by the FDA, and that approval depends on big clinical studies that measure safety, effectiveness and side effects. That research can take years and millions of dollars. And while the FDA has approved treatments like Marinol that contain a synthetic version of an ingredient in marijuana, so far, no one has gained approval for a treatment that uses the whole plant. As a result of the obstacles, advocates for medicinal marijuana say insurers likely won't cover the drug in the next few years. 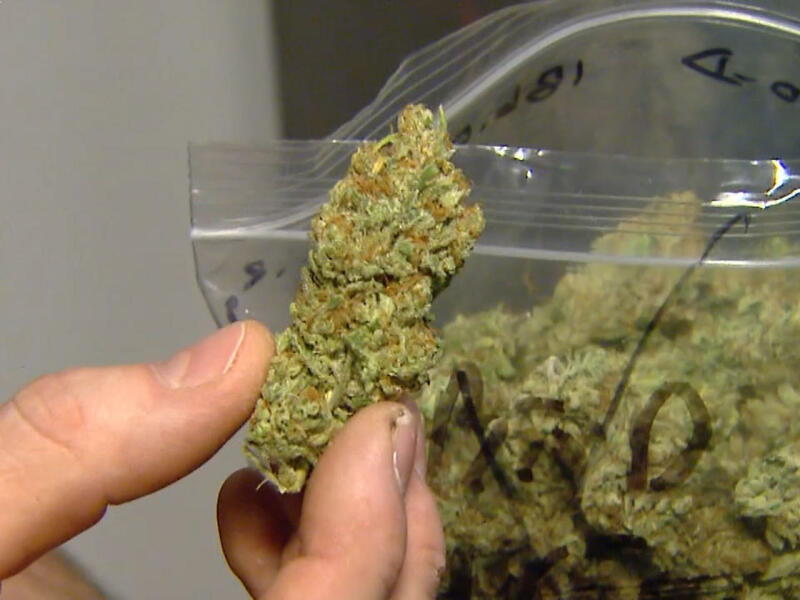 In the meantime, medical marijuana users - of which advocates estimate there are more than 1 million nationwide - have to find other ways to pay for their treatment. Bill Britt, for instance, gets his supply for free from a friend whom he helps to grow the plants. Britt lives mostly on Social Security income and uses marijuana every day for epileptic seizures and leg pain from a childhood case of polio. "I'm just lucky I have somebody who is helping me out, but that could go away at any time," said Britt, 55, who lives in Long Beach, California. "I am always worried about that." Insurers have not seen enough evidence that marijuana is safe and more effective than other treatments, said Susan Pisano, a spokeswoman for America's Health Insurance Plans, an industry trade group. Marijuana's Schedule I classification under the federal Controlled Substances Act makes it difficult to conduct clinical studies that might provide that evidence. The classification means the drug is considered to have a high potential for abuse and no accepted medical use. And that means extra precautions are required in order to study it. Researchers have to apply to the FDA to approve their study. Public Health Service, another arm of the Department of Health and Human Services, also may review it, a process that can take months. The Drug Enforcement Administration has to issue a permit after making sure researchers have a secure place to store the drug. Researchers also have to explain the study plan to the National Institute on Drug Abuse, or NIDA, another agency within Health and Human Services. And researchers have to use marijuana supplied by NIDA, which contracts with the University of Mississippi to grow the only federally sanctioned source of the drug. That can limit the options for strains of marijuana researchers can study. On top of that, researchers must find a location where the marijuana can be smoked or vaporized and scientists can monitor the patients afterward. That's no easy task, especially when dealing with public universities. "The word 'marijuana' is just so politically radioactive," said Dr. Sue Sisley, a University of Arizona psychiatrist who is trying to study the drug as a possible treatment for military veterans with post-traumatic stress disorder. The American Medical Association has called for a change in marijuana's classification to one that makes it easier for research to be conducted. The current classification prevents physicians from even prescribing it in states where medical use is permitted. Instead, they can only recommend it to patients. There is no easy and cheap way to get the drug legally. Patients in states where medical marijuana is legal can either grow it or buy it from government-approved dispensaries. At dispensaries, an eighth of an ounce, which produces three to seven joints, costs between $25 and $60, said Mike Liszewski, policy director for Americans for Safe Access, which advocates for safe and legal access to therapeutic cannabis. He noted that such an amount may not last long for patients who use the drug regularly to control pain or before every meal to help their appetites. Those patients might spend $1,000 a month or more. Patients may get a price break from their dispensary if they have a low income, but that depends on the dispensary. Growing marijuana costs less but takes three or four months. And success depends on a number of factors, including the grower's skill. And there are other problems: Britt, from Long Beach, California, tried growing it in his backyard only to have thieves steal it. Allen St. Pierre, executive director of the nonprofit National Organization for the Reform of Marijuana Laws, or NORML, thinks insurers may eventually cover vaporized or eaten forms of marijuana. But he says when that happens depends, in part, on factors like who wins the 2016 presidential election. Even if the FDA approves medicinal marijuana, there's no guarantee that insurance coverage will become widespread. Big companies that pay medical bills for their workers and dependents decide what items their insurance plans cover. They may not be eager to add the expense. Meanwhile, patients like Kari Boiter, 33, continue to get medical marijuana however they can. Boiter has a genetic disorder that causes pain, nausea and vomiting, and she uses marijuana she helps grow in a cooperative garden to control the symptoms. Boiter, who lives in Tacoma, Washington, and is unemployed, said she'd have to go back to largely ineffective prescriptions, or do without treatment if the cooperative went away. "It would be really hard for me," she said.